Dubai: An air-conditioner without a refrigerant. 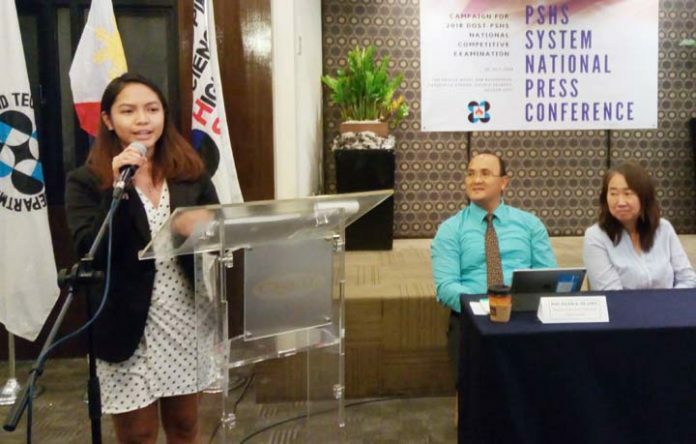 That's what a 19-year-old Filipina student has developed, and with patent applications filed, that could potentially revolutionise the way homes and buildings are cooled — without the use of hydrofluorocarbons (HFCs) as cooling agent. Maria Yzabell Angel Palma (also known as Yza), from Bicol, Philippines, was recently recognised by the International Federation of Inventors’ Association (IFIA) for inventing her "AirDisc". Palma, whose invention had also been recognised by Asian (Chinese, Korea and Taiwanese) entities, claims she had patent application filed for AirDisc. Along with her father, Bernardo, a mechanical engineer, Palma is reportedly finalising a commercial prototype and is open to manufacturing partnerships. She has been recognised by Korean, Chinese and Taiwanese groups. 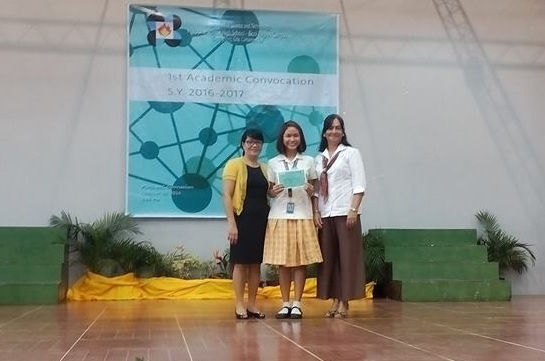 Philippine media reports state that the 19-year-old from Naga City, 408km south of Manila, was a Grade 10 student at the elite Philippine Science High School (PSHS) Bicol campus in 2016 when she "accidentally" came up with her revolutionary AC invention that uses a disc-shaped compressor. PSHS has 14 other campuses around the country. Instead of using a cooling medium, Palma's AC uses low compression and a high volume of air molecules as refrigerant replacement. The first modern electrical air conditioning unit was invented by Willis Haviland Carrier in Buffalo in 1902. Current air-conditioning systems use piston or rotary compressors to pump with the harmful hydrofluorocarbons. Now, Palma has been recognised for her feat by the International Federation of Inventors’ Association (IFIA), which invited her to Switzerland in February — but she failed to attend the event because she was then graduating. IFIA learnt about Palma after 10 foreign organisations, including Asean awards bodies, recognised her for the AirDisc Air Conditioning Technology. Palma said she and her father had already completed the application with the Virginia-based US Patent and Trademarks Office. Palma is an incoming mechanical engineering freshman student at the De La Salle University (DLSU) in Manila. The AirDisc technology discovery came as an “accident”, she told local media. She was then working on an eco-friendly oven for her research subject when she was in Grade 10. The energy-efficient oven technology was dubbed the "AirWave Oven". While further developing the AirWave oven in which she was using copper tubes, Palma said it resulted in emitting cold air at the end of the tubes. “So I thought why not just develop something from this?” she recalled. The heart of the green AC is the centrifugal compressor, explained Palma. The compressor uses rotating concentric air tanks with air inlets that continuously take in enough air molecules from a room for compression. As the heat generated from air compression is separated, the compressed air molecules with less heat are allowed to expand: This process effectively and continuously lowers the room temperature. Palma said she and her father are now looking for partners that will commercially manufacture the AirDisc airconditioner. The father-and-daughter team recently completed patent applications in the Philippines as well as with the United States Patent and Trademarks Office (USPTO), local media reports said. The reason why they applied with the US agency, she explained, is that they ultimately plan to bring the AirDisc to the US — and the rest of the world. She explained that the US and the Philippines are among 152 “contracting states” of the Patent Cooperation Treaty, which took effect in 1978, that assists the world’s inventors and innovators seeking international patent protection for their inventions. Asked about her invention's potential, the young inventor said she was excited about her AirDisc technology to become the future of airconditioning for homes and offices — not just in the Philippines but in other countries. One advantage of AirDisc is that it only uses 350 watts of power, about a quarter of the 1,200 watts needed by traditional airconditioners with the same cooling output. Palma said the prototype they will manufacture commercially was further improved, needing only 150 watts for a 0.5 horsepower unit. “The prototype I researched on used 350 watts but the commercial prototype that will be available in the market will only be 150 watts,” she told Philippine Star. Because it does not need freon for cooling, AirDisc AC does away with harmful emissions into the atmosphere. HFCs are often used in air-conditioning as refrigerants in place of older chroloflourocarbones such as R-12 and hydroflourocarbons such as R-21. But experts point to HFC, an organic compound composed of hydrogen, flourine and carbon, as a potent greenhouse gas. As a result, their manufacture and use became increasingly regulated in recent years. AirDisc is seen as a timely answer to the United Nation’s Kigali mandate to phase out HFCs as chemical refrigerants. Scientists claim that a kilo of HFC is equal to roughly 20,000 kilos of CO2 greenhouse gas. 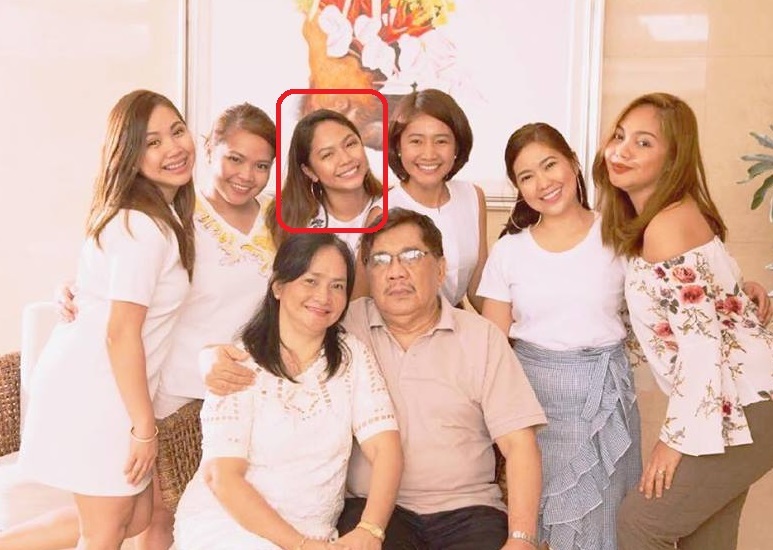 Palma, the youngest of six daughters, said that she had gotten a lot of help from her father, Naga City-based food entrepreneur Bernardo who is also a mechanical engineering graduate of DLSU-Manila. The AirDisc has won gold medals from the World Inventors Contest 2017 in South Korea, the International Invention Innovation Competition 2017 in Canada, and the International Intellectual Property Invention, Innovation and Technology Exposition Thailand 2018. Science Secretary Fortunato dela Peña said they are ready to provide Palma with technology and financial support to further develop the AirDisc.